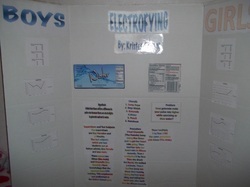 This is a project from 2010-2011 school year. 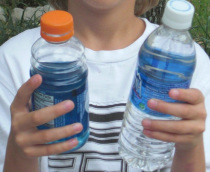 I wanted to know what was healthier water or gatorade since I work out a lot. I have been trying to go healthy on everything I do. So here is a tab on my findings. 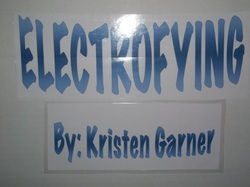 I called my project Electrifying because the gatorade has electrolytes in it and water doesn't. 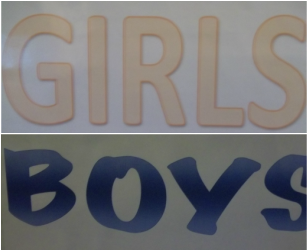 I did the project between Boys and Girls. Here is my Tri- Board for the experiment. Conclusion: (What did I learn?) I learned that water is healthier, cools you down faster, and slows your heart rate faster. So know I drink more water.